1. Some days will be super busy and exciting! 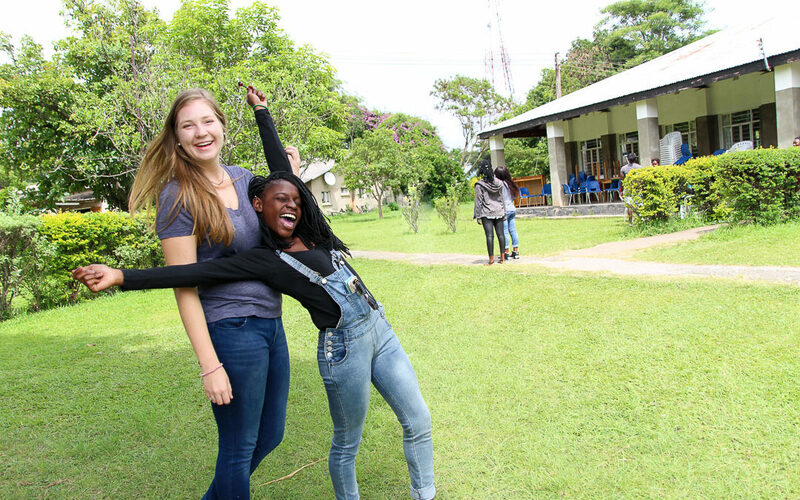 Check out this video of what mission is like in Zambia where I mentor students in a Gap Year program. 2. But other days may not be exciting at all, in fact, most days may not be. Whenever I tell people I live and serve in Zambia, one of the first reactions is always “Wow that must be exciting!” Well yes and no. In my opinion, if we are doing missions well, we are building a life where we live (whether in America or overseas). And building a life means making things normal and doing mundane things. It means building relationships and routines. It means doing things like grocery shopping and paying car insurance bills. Yes, doing those things may look different than in America, but they will be just as routine and mundane. So your life serving overseas will most likely be just as “exciting” as your life at home. But that’s a good thing! It means you’re doing it right. 3. When you build a life where you serve, you will create lasting and meaningful relationships. Living in a foreign and new place can be a bit intimidating at first. Reaching out to form friendships can even be a bit taxing, but God placed you in a certain place for a reason. He will put people in your path who will help you, love you, and teach you. You will also help, love, and teach them over things like music or food, but even more importantly Jesus. You will talk about deep and sometimes difficult things as you lead others closer to Jesus and grow together in faith. 4. You will miss important things going on at home – especially if you are a young person like me. Lots of important life events happen in our 20s and 30s. So if you are a young missionary, you just have to know that that is part of the sacrifice of deciding to live a couple thousand dollars worth of a plane ride away from friends and family. I have had to miss countless weddings. Even those of my best friends. I have missed my brother and sister’s graduation and even my grandmother’s funeral. You will want to be back for every one of these landmarks, but with just one trip home per year, you will have to pick and choose. And there will also be unplanned events that you will have to miss…I was in Zambia when my mom suddenly passed away. And while I made it back for her funeral, my heart still breaks thinking that I didn’t get to hug her like the rest of my family on the day of her stroke. Mourning missing life events comes with the territory of saying yes to the call. 5. You will get your hands dirty. We took a day trip to a small village. It was the first day of evangelism. As we approached two women building a mud house with their bare hands. As one team member began to ask them questions like “Do you know God? Do you attend church?” another team member noticed their yellow water cans were empty. He picked them up and walked to fill them, returning with sweat pouring down his face, his hands dirty, and water all over his jeans from the containers sloshing. At that moment I realized that is the kind of missionary I wanted to be. It is not uncommon for church service to be 5 hours long and school is notoriously lecture-based. So how many times do we come across someone who is not concerned with words but is willing to get down into the mud of life with us? It means being able to really see people and their needs. Sometimes you will sweat, learn, and love your way towards that goal. Are you a young adult or know a young adult that is interested in serving cross-culturally? Meet up with SAMS at Urbana 2018 Missions Conference, an eye-opening global missions conference, a sacred space for college and graduate students, faculty, and church leaders to hear God’s call. Register here and drop a comment below to let us know if you will be attending! 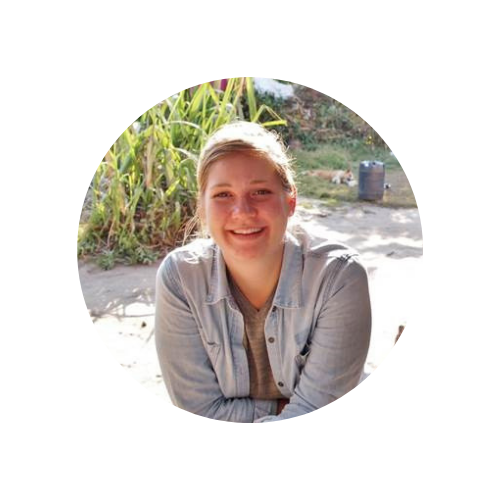 April is involved in an outreach ministry to Zambian youth that involves discipleship and mission training. Her home church is Church of the Resurrection in Wheaton, Illinois. Support April here. April, I enjoyed reading about your adventures, answering God’s call. I am sorry to hear about your Mother and Grandmother. Blessings to you.